We posted this in February 2017 in response to a previous protestation by President Trump about what the Russians had been doing and when they had been doing it. It’s well worth running again. Update 20 July 2018: the story also told by Norman Abjorensen in Fairfax. ‘Totally made up facts by sleazebag political operatives, both Democrats and Republicans – FAKE NEWS! Russia says nothing exists.’ So said Donald Trump, a week before he came president. This remark followed a denial by Russian President Vladimir Putin that the Russians had a dossier on Trump. On hearing this story, people with long memories may have remembered a comparable incident in Australian politics in 1955. The headline on the story in the Canberra Times of 20 October 1955 was ‘Molotov told Dr. Evatt spy papers faked’. 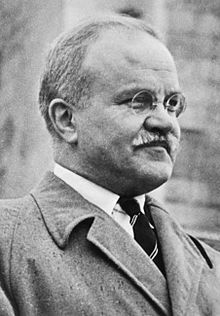 Vyacheslav Mikhailovich Molotov was the Soviet Foreign Minister, Dr Herbert Vere (Bert) Evatt was the Labor Leader of the Opposition, and the questionable papers related to the Petrov espionage controversy. Evatt had spoken in the House of Representatives on the previous evening and following are some highlights of what he said. There is background on the Petrov Case here and here. While the matter was complicated, it was essentially about the alleged leaking of information from the Australian Department of External Affairs to the Soviet Union. The allegations came to light on the defection in April 1954 of junior Soviet diplomat, Vladimir Petrov. Determined to ascertain the truth of these grave matters, I took two steps, as follows:—First of all, I communicated with His Excellency the Foreign Minister of the Soviet Union. I pointed out that most of the Russian language documents in the Petrov case were said to be communications from the M.V.D., Moscow, to Petrov, M.V.D. resident in Australia. I pointed out that the Soviet Government or its officers were undoubtedly in a position to reveal the truth as to the genuineness of the Petrov documents. I duly received a reply, sent on behalf of the Minister of Foreign Affairs of the Union of Soviet Socialist Republics, Mr. Molotov. “Can only be, as it had been made clear at that time and as it was confirmed later, falsifications fabricated on the instructions of persons interested in the deterioration of the Soviet-Australian relations and in discrediting their political opponents”. I attach grave importance to this letter which shows clearly that the Soviet Government denies the authenticity of the Petrov documents. Under pressure from government backbenchers and members of the Anti-Communist Labour Party (soon to become the Democratic Labor Party), Evatt stuck to his guns: ‘I have had my fights with Molotov, but I have the right and the duty to refer to his statement in support of independent conclusions to which reasonable people may come, and the honorable member cannot get rid of that outstanding fact.’ The documents in question were not made in Moscow but concocted, he argued, by ‘security’, in other words, the Australian Security and Intelligence Organization (ASIO). A snippet from the recording of his speech is here, including the laughter which greeted his revelation of the contact with Molotov. quoted, in a triumphant voice, the fact that he had received a letter from Mr. Molotov, which he said proved that all the documents handed over by Petrov were complete fabrications. He did not produce the letter. He had a letter from Mr. Molotov, and that was the end of the whole matter. That aspect is so utterly fantastic that I do not think it calls for any comment. The Leader of the Opposition has chosen strange company indeed to support his claim that the evidence submitted to the Royal Commission on Espionage was for the most part faked, and that it completely duped three of Australia’s most distinguished jurists [the Royal Commissioners], despite months of intensive investigation. It would be difficult for the layman, let alone anyone with legal training, to imagine a witness who would be more likely to be biassed and less likely to be reliable on such an issue than the Foreign Minister for the country suspect of having abused its diplomatic privileges to establish a spy centre in the heart of the Commonwealth. It would be impossible to imagine anyone less likely to admit guilt in such a context. It is a novelty when an Australian, aspiring to become Australian Prime Minister, rejects the evidence of witnesses called in Australia and the findings of three Australian Judges, on the mere say-so of the nation whose agents have been found guilty of systematic spying. True, the three Judges, after prolonged examination, found that the papers were genuine, that the Petrovs were truthful and accurate, and that Dr. Evatt’s charges were fantastic and wholly unsupported. Dr. Evatt’s retort is to say that Mr. Molotov denies it all, and that we ought now to put the three Australian Judges, so to speak, on trial by some non-existent international body of which the Soviet Union must be a member. [Evatt had proposed that the Petrov-related issues be put to an international commission.] Now all this could be laughed at were it not that the Evatt Labor Party is urging you to vote us out, and to put Dr. Evatt in. At the election on 10 December, Labor suffered a five per cent swing against it (two-party preferred; much of its lost primary vote went to the Anti-Communist Labour candidates) and lost ten seats. Evatt almost lost his seat. 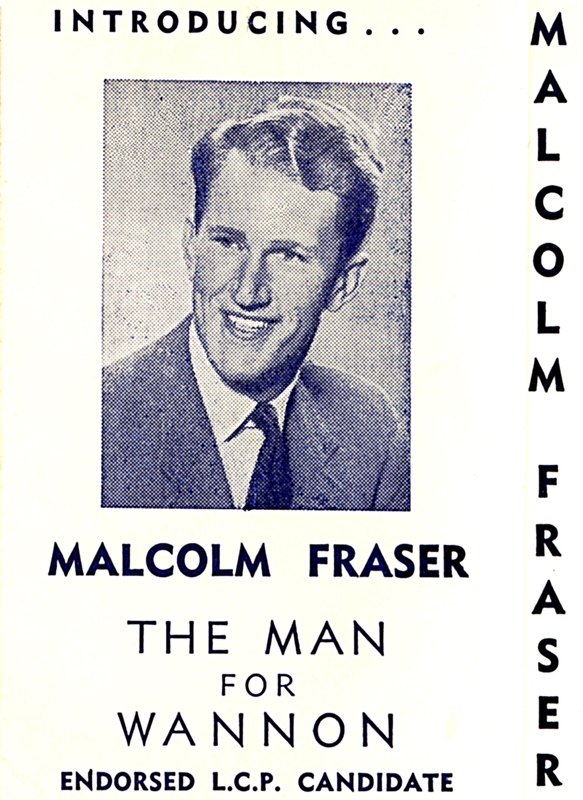 The breakaways [in the Anti-Communist Labour Party] feuded venomously with the Evatt party for much of 1955, but it was Evatt himself who most damaged his credibility as leader. In September the final report of the royal commission on espionage came before parliament. Despite all the muckraking, it had been unable to furnish the basis for a single prosecution. Its futility was overlooked when Evatt stated in the House that he had asked V. M. Molotov, the Soviet foreign minister, about the authenticity of Russian-language documents supplied by the Petrovs, and had received Molotov’s denial. Evatt’s defenders argue that he was simply seeking to establish a basis for an international commission into the affair. Politically, it was an extremely naive move, made without consultation and without the excuse of impulse. Menzies seized the opportunity to call elections in December 1955 and Labor was thrashed. The teaching materials on the website of the Museum of Australian Democracy at Old Parliament House are more succinct: ‘Evatt’s reputation never fully recovered’. There is a lot more to the Petrov case and related matters than has been summarised above; there is more on the Honest History website and it can be found by searching under ‘ASIO’ and ‘John Burton’. For now, it is just worth noting the possible political ramifications of asking for information from Moscow. ‹ Jones, Benjamin T.: Where does Mark Latham sit among Labor rats?